Is it time for your business to start using SEO? Search engine optimization is not as traditional as other marketing tactics, but it’s a necessary one in the digital age. For a multitude of reasons, SEO is one of the best investments your business can make. 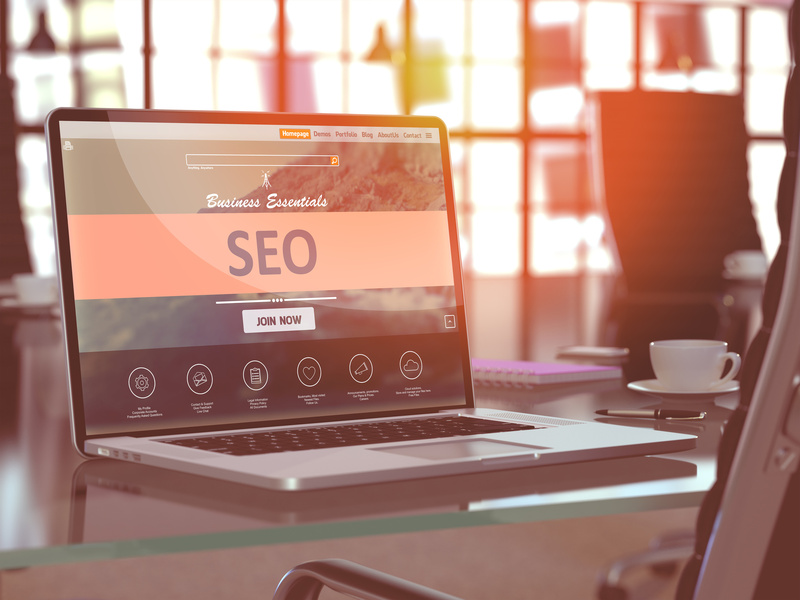 Read on to learn why business SEO is so important. All of digital marketing is centered around traffic. You first want to drive visitors to your website, and then persuade those visitors to take an action on that website. For almost all goals and desired outcomes, traffic is the key. So what is the top source of traffic on the internet? Social media? Paid advertisements? Nope. Organic search is the #1 driver of traffic online. In fact, some studies show that organic search accounts for more than 60% of web traffic. Search engines are thus your go-to source for new visitors. However, the majority of search traffic only goes to the top three results on a given search. Ensuring your business has a claim on one of these tops spots is why search engine optimization is so critical. Advertising is the most classic technique for getting your brand name in front of new people. Advertising is straightforward and easy to understand. Commercials, billboards, and ads in newspapers and magazines get your logo and product in front of a lot of people. But traditional advertising has many problems. One of the biggest ones is the cost. Almost any ad will put a company out at least a few hundred dollars. A billboard can cost a few thousand for only a month’s time. And while most commercials won’t cost as much as the $5 million it takes to show one in the Super Bowl, the production and airtime cost for any TV ad will be a hefty investment. Further hurting the value of advertising is that the costs mentioned above are only for one ad. To form a truly effective advertising strategy means paying for multiple ads over time. That means the cost can really pile up. SEO is comparatively cheaper than advertising. Business SEO is also a long-term solution, so the value over time is even better. For small businesses that can’t afford extensive advertising, SEO is a much more realistic alternative. Another limitation of advertising is the strength of the leads it generates. The high cost of traditional advertising is mostly derived from the sheer volume of the potential audience. The idea is that if more eyes see your ad, the more effective it is. That’s not exactly the case, however. With most advertising, you’re dealing with a pretty generic audience. That means an overwhelming majority of people who see a given ad will have no interest in the product. And if they have zero interest, it doesn’t matter if they see your advertisement; they aren’t going to buy anything from you. When it’s untargeted, advertising is basically throwing stuff at a wall and hoping something sticks. When you focus on search traffic, however, you generate much stronger leads. The people you draw in through SEO will be people already searching for information or products related to your company. They will naturally have more interest in what you can offer them because they’re further down the buying funnel. SEO may not expose you to the massive raw quantities of people that advertising can. But the people you do get in front of will be much more likely to become a customer. Being a small brick-and-mortar business is tough. You’re facing heavy odds as you compete against other locally owned stores plus bigger chains and corporations. To bring in new customers, your business needs to be a force online. 85% of consumers use the internet to find new businesses. That means that strong local SEO is one of the best tools a small business has against their competition. Most notably, local SEO helps your business earn one of the valued spots in the Google Local 3-Pack. This is a special results display used in locally focused searches that shows users some of the top businesses near them. Local SEO could be the difference between somebody choosing to go to your restaurant or retailer vs. the other shop down the street. Check out this post by Digital Envy to learn more about how to optimize for local search. In addition to helping you against local competitors, SEO can give you a fighting chance against the bigger online retailers as well. Many people turn to Amazon or other online shopping options for most of their purchase needs. With a seemingly infinite inventory of items and free shipping options through programs like Amazon Prime, many people don’t have much of a need to leave their house anymore. That situation is no good for your company. However, with the right SEO you can convince an online shopper that a visit to your business is the superior option. This is especially true with more expensive purchases, such as appliances and equipment, as well as things like clothing and shoes. Some things you just need to touch and try out before committing to buy. With SEO, you can give consumers a place to do that. Have you ever wondered how to get your business to appear on Google Maps? Along with being important for navigation, many people use the built-in search features on Google Maps to find businesses within a certain proximity. Taking steps toward local SEO can help with the critical task of getting labeled on Google Maps. The biggest thing you can do is sign up for Google My Business, which is a free feature offered by Google. Along with posting accurate business details, you can verify your location directly with Google and sync up your website with Google Maps. So much about marketing comes down to brand awareness and your company’s reputation. After all, people can’t buy from you if they haven’t heard of you. SEO for business helps to improve your company’s online perception. One of the ways it accomplishes this is through content marketing. By publishing informative, helpful content, you help readers understand new concepts and complete difficult tasks. The more high-quality content you publish, the more of an authority you become in your industry. This authority matters to both the search algorithms as well as real people. Even if your readers don’t make a purchase immediately, they will appreciate your help and remember you in a positive way. Online reviews are also an important part of search engine optimization. Because 84% of people trust online reviews as much as a personal recommendation, SEO’s focus on reviews will benefit your overall reputation as well as your search rankings. Some of the more technical website optimization techniques result in very tangible benefits for your site’s user experience. Loading speed is one of the most important ranking factors. Sites with slow-loading pages will get bumped down the results list, so speeding up a site is one of the priorities of SEO. Faster sites mean a better UX for your visitors. When a page loads within three seconds, bounce rates drop dramatically. Mobile optimization is also a major ranking factor. A properly formatted mobile site will help boost your rank as well as make browsing easier for people using phones and tablets. With an improved website experience, visitors will stick around longer. This improves your chance of earning a purchase or a newsletter sign-up. Working in sales and marketing for a business can often seem like a 24-hours-a-day, 7-days-a-week job. You’re making calls and answering emails. You’re always looking for a new media member to pitch to or a new client to work with. On social media, you need to be constantly and consistently engaging across all channels. But it turns out you can be just as effective with more passive strategies. Compared to many traditional marketing tactics, SEO is relatively low maintenance. There’s a lot of work up front with SEO. You might need to everything from updating your web copy to completely renovating your website. But if you do all that initial work well, you can more or less set it and forget it. You do need to keep creating content, and you should monitor industry news for updates on changes to the search algorithms. But besides that, inbound strategies like SEO are all about letting customers find you without you needing to put in tons of extra work. Because SEO is a passive marketing strategy, you have more time to put toward other projects. Do you sell products out of a brick-and-mortar location? SEO can help bring new people to your store. Do you sell products online? SEO is essential to driving people to your product pages. Do you offer a specialized service? SEO can bring you more clients. Whatever your business is, search engine optimization is a tool you can’t afford to overlook. For all the reasons listed here, SEO is vital to growing your company and making more money. There are many ways to start improving your business SEO. One of the most effective tactics is guest blogging. To learn more about guest blogging and why it’s an important tool for your business, check out this guide.